Architecture Magazine and Design. Powered by Blogger. The ecology Nature Activity Center is an integral part of the building. The building will, by groundbreaking and green roofs, new ecosystems that can be experienced directly and included in the routing. Because of its main shape with rising roofs, the energy requirements may be minimized, and the building to a large extent self-supporting function. The building has an open floor plan and is therefore completely flexible layout. Durable materials that are close to nature make it complete. The building is a blend with its surroundings, and has no front or back. Even the boundary between inside and outside is only recognizable by a thin glass facade. The program takes place both inside and outside. Both in and on the building. The blend with its surroundings is not only of physical nature, but also increases the mental connection to nature. 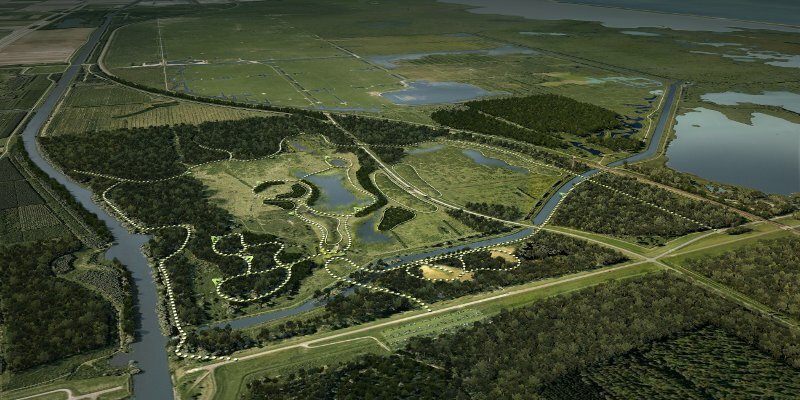 Forestry Commission wrote in mid-2009 a competition for a new Nature Activity Center in the Oostvaardersplassen. 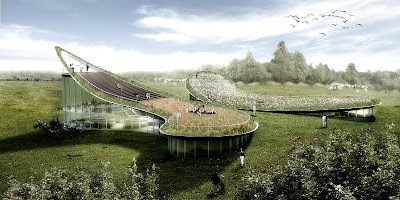 Together with an ecologist and landscape architect has created this design. 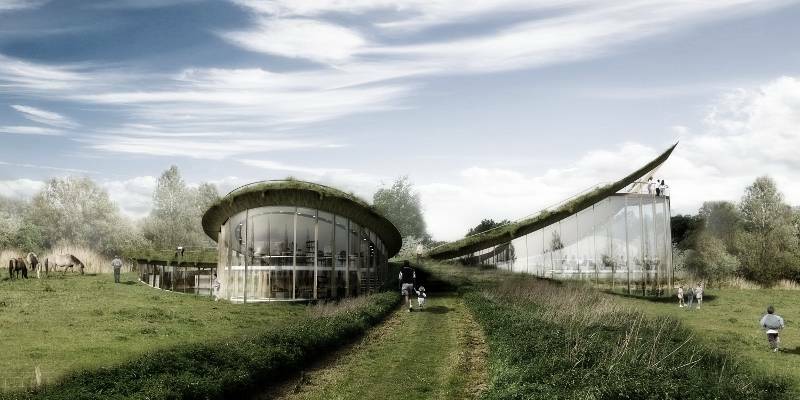 The center is situated on the edge of the forest overlooking the Oostvaarders Field.